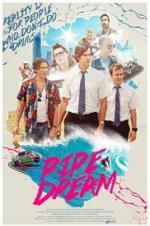 Buy or Rent Pipe Dream (2015) Movie DVD & BluRay Online! Movie Plot: A story of two wannabe Schoolies on the Gold Coast during a state-wide crackdown on drugs. The boys stumble upon a stash of “weed”, and through the misguidance of an older brother trying to replace his earlier Schoolies experience, they get caught up in the war on drugs waged by the authorities. Selling drugs to earn enough money to replace a broken heirloom they are oblivious to the battle around them. As they are pursued by an overzealous Police Chief and a violent underworld, they aim to be kings and make this the best Schoolies ever.